What Does FWM Mean In Text Speak? 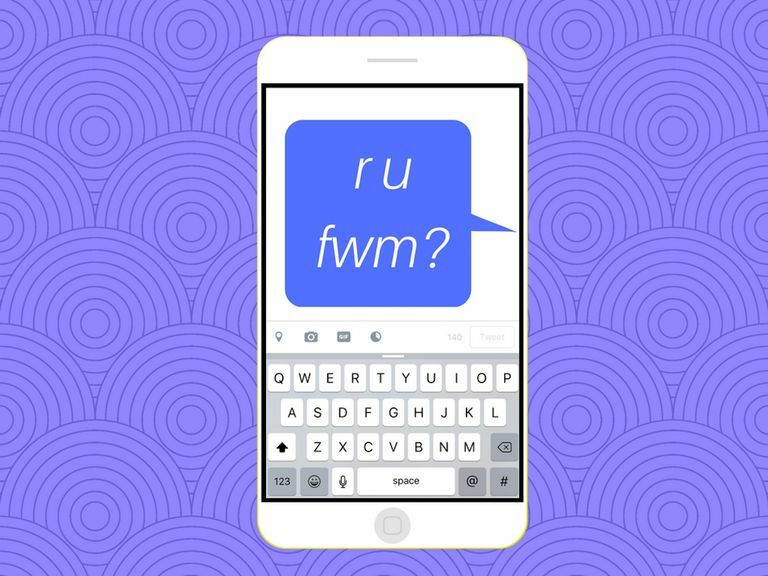 Can't decode the acronym "FWM" spotted in a text message, left in a comment on social media or posted somewhere else online? Brace yourself, because its meaning is quite crude. Those asterisks can be filled in with the remaining letters required to spell out the F-word. You were warned! To make this acronym a little more user-friendly and a lot less vulgar, you can try replacing that F-bomb with the words "talk" or "get." So when someone says FWM, what they really mean is "talk with me" or "get with me." In some cases, FWM can have more of a negative interpretation than a positive or neutral one. For instance, it can be synonymous with the phrase "mess with me." People tend to use FWM to describe their relationships and interactions with friends, romantic partners and other connections they have in their lives. The very fact it contains the F-word makes it an especially appealing acronym to describe romantic/sexual relationships. Teens and young adults are far more likely to use the acronym because it might make them feel tough and confident about their social status. They might use it to express emotion, set boundaries, state who's "on their side" so to speak or even declare what they will and won't tolerate from other people. "If ur on my page but u never fwm then ur not a real friend"
The first example above looks like something a person might post as a status update on Facebook or tweet on Twitter. Given that the poster is sharing how they feel about the level of interaction they get on their page, their use of FWM can most likely be interpreted as "talk with me," or at least "interact with me" via social media likes, retweets, etc. "Why u even tryna fwm when u never return my texts anyway"
The second example above resembles a text geared toward someone who might be playing games for their own benefit only -- perhaps for romantic/sexual reasons. The context of this particular message suggests that FWM could be interpreted as "get with me" in a romantic/sexual sense. "Don't fwm if u just gonna leave"
The third example above could be used in a social media post or a text message, but what really matters here is the defensive tone. In this case, FWM likely means "mess with me" in a negative way. FWM is one of those acronyms that has its own type of crowd -- a.k.a. teens and young adults who need a rough and tough ego boost. But regardless of your age and self-image/social status, if think there's reason to use it yourself online or in a text message, you can try asking yourself the following questions to help you determine whether it's worth using in your own online/text vocab. Am I going to offend or disrespect anyone? If yes, avoid using it to save yourself from the conflict and regret you might experience later. Am I trying to channel my negative emotions about my relationships into an angry message? There are much healthier and less risky ways to blow off some steam without offending or angering others while sitting behind a computer or device screen. Am I trying to avoid the need to directly address an issue with a particular person or people in my life? If so, declaring what you do/don't want from them or lashing out won't fix it.